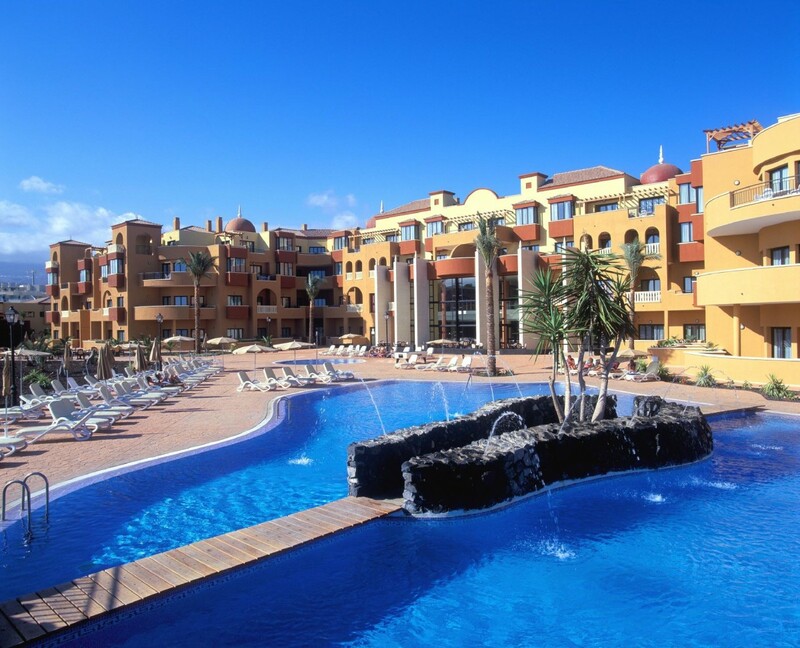 Situated on the south coast of Tenerife, a short distance from the airport, Golf de Sur is a fairly new development with an excellent range of high quality accommodation. It is a relaxed resort with a number of courses including a championship golf course. The bright green of the grass set against the dramatic background of the barren hills and mountains is startling .A Golf de Sur holiday is not only for golfers as it offers a wide range of leisure activities including bowls, tennis and crazy golf. Although the coast in the area is rocky, there are opportunities for water sports from the beaches in nearby resorts. Big game fishing is a popular pursuit when the possibility exists of landing a three hundred kilo fish. The palm lined streets of the resort have bars and pavement cafes offering day long refreshment where relaxation is the name of the game. Golf de Sur is a self-contained resort with everything necessary for a stress free holiday. However it is well placed for explorations of the island for those who wish. Day trips include whole island tours where you can experience the contrasts of scenery that the island has to offer, the National Park with Mount Teide as well as water parks and a wildlife park. Golf del Sur nightlife is centred round the hotel complexes, the bars, restaurants and one nightclub. It is not a resort that parties until dawn (golfers need their sleep) so those who want to experience lively evenings will need to take a taxi to Playa de las Americas or Los Cristianos. These vibrant resorts celebrate until the early hours of the morning. One of the attractions of shopping in Tenerife is that it is tax free. Perfume, alcohol, cigarettes, cameras and electronic goods are all considerably cheaper. There are a number of shops in the resort&apos;s commercial centre providing holiday essentials but for a larger choice of goods, a trip to Los Cristianos and Playa de las Americas is recommended. These resorts have many fine boutiques and specialist shops. The Sunday market sells many hand crafted items ideal for gifts and holiday mementoes. The high quality of restaurants in golf de Sur is well known as is the diversity of menu. There are many fine restaurants serving traditional as well as international cuisine. If a little more variety is needed, the resorts of Los Cristianos and Playa de las Americas are only a short ride away. Typical Canarian food is the spicy mojo sauce and the salty new potatoes that are boiled in sea water before being baked. Fish features prominently on menus and is often served with the green variety of mojo sauce.